Mish's Global Economic Trend Analysis: US Economic Activity Poised to Soar? US Economic Activity Poised to Soar? 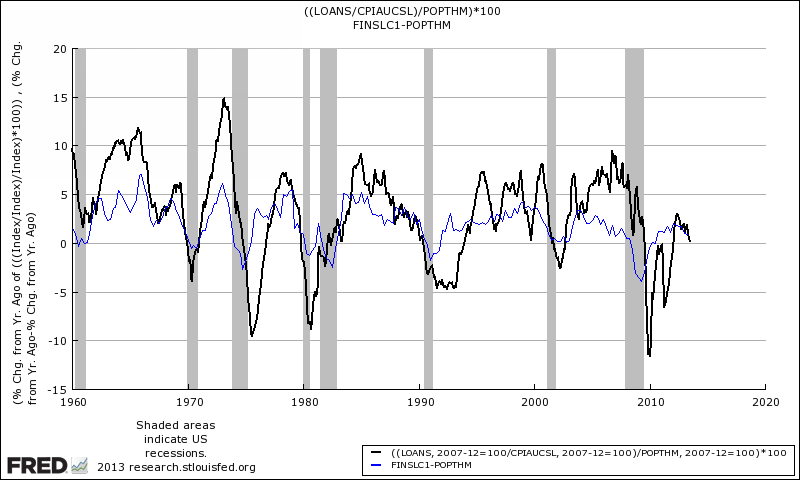 Is economic activity in the US about head to the next level higher? If you think so, please consider a chart from my friend "BC": Weekly real year-over-year growth of bank lending per capita and real final sales per capita. 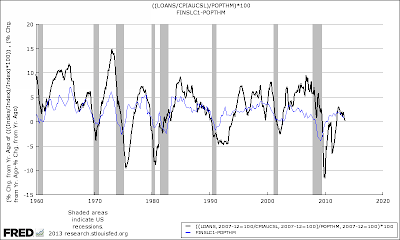 My friend BC writes (and I concur) "It seems rather unlikely that private economic activity is poised to accelerate under these conditions." But what about "public" activity such as a war with Syria? If you are looking for another reason besides energy Obama wants a war with Syria, there you have it.